For Tip Cleaners CLMR and CLMU. This brush design allows a fast and easy brush exchange. It can be chosen between black core and blue core brushes. Different core colores are helpful to distinguish brushes when doing lead-free and leaded soldering. 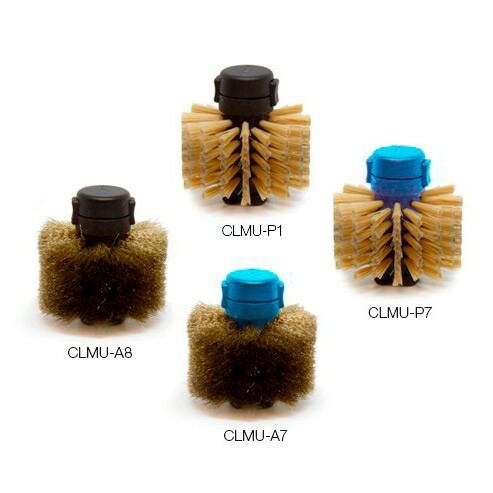 Brushes CLMU-A8 and CLMU-A7 are available with metal bristles for intensive cartridge cleaning, Brushes CLMU-P1 and CLMU-P7 with non-metal bristles for gentle cleaning. Brushes supplied in boxes of 2 units.